Money Trouble in New Jersey? Summary of New Jersey Usury Law(s) / Quote: "Legal: 6% / Contract: 16% / Judgment: No specific provisions / Corporate: No specified rate"
Legal Maximum Interest Rates: Quote: "6% or up to 16% for contract (§31:1-1); loans in excess of 30% or 50% in limited liability to corporations are not permitted (§2C:21-19)"
Usury Penalties: Quote: "Only amount lent may be recovered (§31:1-3); guilty of criminal usury and up to $250,000 fine (§2C:21-19)"
Legal Exceptions: Quote: "Loan for over $50,000; savings and loans; banks; Department of Housing and Urban Affairs and other organizations authorized by the Emergency Home Finance Act of 1970; state or federal government or quasi-governmental organizations (§31:1-1)"
Norma is paying support to her husband, trying to pay a payday loan and paying car payments all at the same time. She was two months late on her car payment and decided to take out a payday loan to catch up on her car payments. Now she is paying high interest rates and fees on the payday loan and wants a loan to pay this off, catch up on her car loan payments and catch up on her support payments to her husband. She is still working while her husband is off work on disability after suffering a heart attack. It looks like he will not return to work. It is a long story and it sounds bad for her, but they ended up getting divorced shortly after he had his heart attack. Because he was not working and was on disability, she ended up paying support to him. This will go on for another few months until he is able to return to work if he ever does. She has paid some of the support payments, but not in full so she is behind on these payments as well. His lawyer is threatening to garnishee her paycheck to collect what is owed. She desperately wants a loan to allow her to catch up on everything, pay less interest and avoid the legal action associated with having her pay check garnisheed. She needs $10000 with a four year term to keep the payments low enough for her to balance her income and the support payments she needs to make for another few months. Norma still has a good credit rating even after all of the issues that she has had over the past few months. Neither she or her ex-husband owed money as of the divorce date other than the car loan and they both had a good credit score. All of her financial troubles took place after the divorce which were primarily driven by the support payments she needs to pay and her reduced overtime at her job. She was just not making the money she was used to because the company she works for did not have the hours to allocate to her. Instead of going to a payday loan lender to help her catch up on car payments, she should just have applied for personal loan at that time. It would have cost much less than the fees these lenders charge. At least there is light at the end of the tunnel. The support payments will end shortly and with the loan she can pay off the payday loan as well as what is left on the car loan. She can then focus on meeting the terms of the loan and the monthly payments. If she can do all of this and not miss any reported payments, she will also maintain her credit score as well. 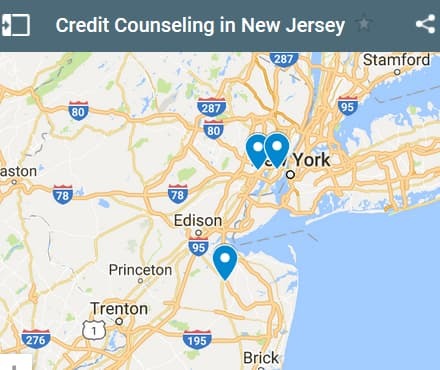 If you live in the State of New Jersey and you're struggling to get a loan approval with a bad credit rating we hope our website helps you in some way. Last 5 debt service loans approved in the State of New Jersey. Source: WFL Lender Pool. Updated Weekly. Principals rounded to the nearest $1000. Relative interest rates listed below in order left to right. 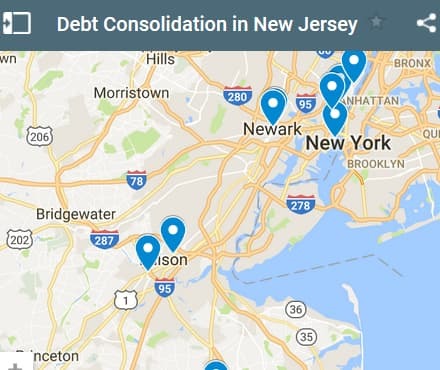 New Jersey residents who are having trouble dealing with their debt problems have a few choices depending on few factors. The first factor is whether or not you have a bad credit rating, and the second factor is your personal DTI (debt to income ration). Regardless of your circumstances you can check out of the debt service providers above for consolidation or counseling. We have specific debt counseling companies based in New Jersey below as well. Lloyd needs to replace the roof on his house and he wants to consolidate a small amount of money on his credit card. He is applying for a debt consolidation loan of $9500 and would like a three year term. He is also applying to his insurance company and the government for help from the damages to his home from the last couple of nor’easters that went through. He does not have a lot of confidence that they will come through and he does not want to wait until he finds out. He has several leaks in his roof which he has temporarily had patched. They will hold for now, but the next wind storm coming through could cause further damage to the roof with more leaks and water damage as a result. He is getting really tired of all of these storms but he has no choice, he must make repairs or watch his home deteriorate in value. Lloyd has tried to keep his home in good shape and well maintained, but with these storms it seems to get more difficult every year. His home is approximately 50% paid for. The rest is a mortgage that he pays monthly and he is up to date on both his mortgage and his property taxes. Lloyd has no other debts, his car is paid for and if he can be approved for this loan, he can get a jump on the repairs before all of the home owners start their own roofing repairs. He wants to find a good roofer that will do a good job. Lloyd has a good credit rating, he works at a stable job and has little in the way of debts other than his mortgage and a small credit card balance. He should really have no problem with his approval for his loan request. Since Lloyd has equity in his home, he might consider adding this loan to his mortgage or taking on a line of credit. A line of credit would allow him to draw on the loan whenever he needed the money and also repay the loan at any time. His minimum payment would be the accrued interest charges each month. This offers a great deal of flexibility as well as risk for clients. A traditional loan requires monthly payments that are the same amount on the same date each month until the loan is fully paid for. There is built in discipline for the client to repay the loan until it is fully paid for. A line of credit has much more flexibility which is its major advantage, however the client must apply their own discipline to repay the line of credit. All that is required each month is a payment of the accrued interest and no requirement to repay the principle of the loan. For many clients this could be an issue. Lloyd is going to reconsider his loan application and make a decision regarding what the best approach might be for him and his family. 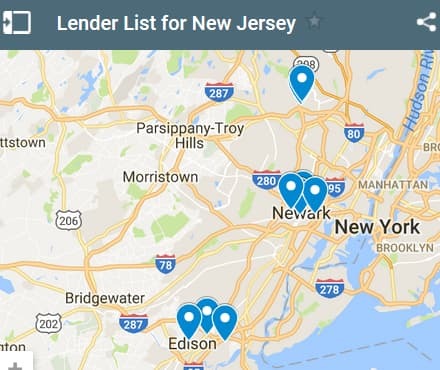 If you live in the State of New Jersey and you're trying to get approved for a debt consolidation loan, we hope our website helps you find a good lender regardless of your credit rating.